Crop forecasting—prediction of crop production under different weather conditionsthrough computer simulations—can guide decisions to maximise production under a particular weather condition. Such predictions have become important under the emerging climate change scenario where knowledge about impact of changing weather patterns on crop productivity can help in minimizing yield loss. 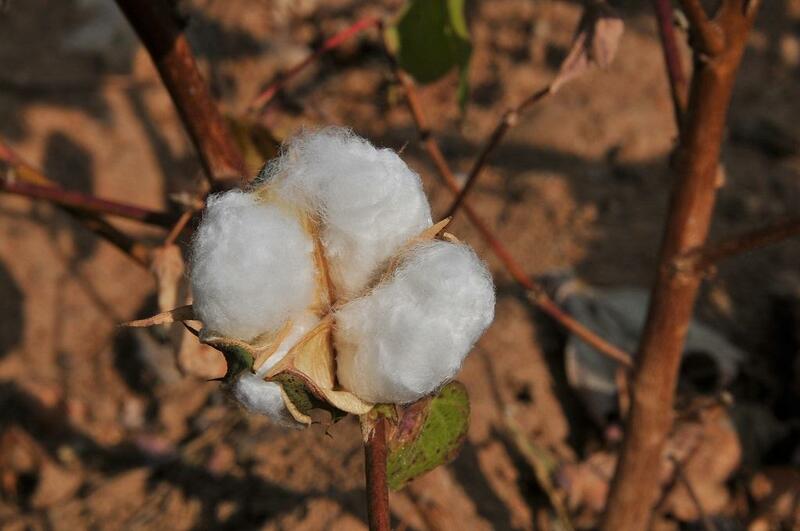 A team of Indian scientists have predicted that the yield of cotton can be maximised if the crop is sown early (by mid-May) and irrigated during ball formation and maturity stages in case of drought conditions. They identified the stages of cotton plant sensitive to water availability by simulation techniques. The study published in the journal Current Science involved analysing rainfall patterns from June to September from 2002 to 2014, which included two drought years (2002, 2014) and two excess rainfall years (2010, 2013). Researchers then collected yield data of three Bt cotton varieties - Pancham-541, RCH-791 and SP-7007,which were cultivated in Hisar district of Haryana, during the Kharif season of these four years. It was found, through simulations, that early sowing (mid May) always yielded better cotton production as compared to late sowing (June). Further, it emerged that irrespective of sowing time, irrigation at ball formation stage (66 to 101 days after sowing) and again at ball maturation stage (101-135 days) can increase the yield in case of drought condition. “With changing climate, cotton crop production is affected which has corresponding socio-economic impacts. This can be alleviated with help of improved irrigation support and pest control management”, explained A P Dimri, author of the study and Professor at Jawaharlal Nehru University. Water availability is one of the prime factors that determines crop production. However, it is not economical to go for irrigation throughout the season. Consequently, such studies which help in understanding critical stages of water requirement for a particular crop are essential to make better decisions in times of water scarcity.